From the site owners, Chatwing’s newest targets are the mobile phone users. With Chatwing Chat App finally going live on GooglePlay, Android users will finally experience Chatwing’s flexible chatting tool on their iphones. The chat software app is very much like its predecessor on the web browser, as it is fitted with the same login feature that allows the chatters to use their social media accounts to login. These include Facebook, Twitter, Google, Yahoo, Tumblr, Instagram and Vkontakte. The app however, features a different look compared to the latter to make it more appropriate for mobile phone use. A feature unique to this app is that it has a chat room software search function that the chatters can use to find a specific chatbox. The user only needs to type in the name of the specific Chatbox to do so. The same could be said in creating a new chatbox – the user only needs to type in the name to have one. Being the creator of the chatbox allows the user control over it. For now, he/she can delete the messages inside it at will. Chatwing has long planned to pursue the chat app Android project and it has finally come into fruition last January. Now, the app has continued to garner great responses from its subscribers. The Chatwing chat box developers know that the app still has more room for improvement and are constantly updating it for more features. This is to ensure the app lives up to the expectations of its current subscribers to which some are also users of the original Chatwing Chat software. 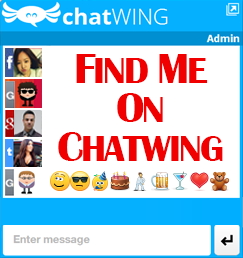 Chatwing.com is a company that has brought innovation to the modern chat widget. Operating for more than five years now, Chatwing and its team of developers have dozens of ideas ready to be introduced to the public. 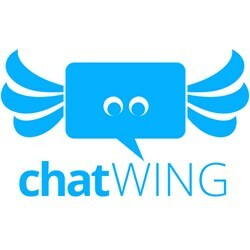 The Chatwing chat app is an easy-to-use online tool that can help web users interact with each other and can also generate continuous traffic. Chatwing will always be a freemium application for everyone.